As far as wedding presents go, your wedding registry is your expression of your needs and wants for the coming days of your life. When it comes to writing down to it, the gifts that couple’s tend to register for are the most practical ones, such as silverware and chinaware. While there’s nothing wrong with conventional gifts, here are a few household essentials that are often overlooked, but should definitely be on every bridal couple’s wish list. You and your spouse-to-be are going to spend a big chunk of your marriage in bed, so might as well ensure you’ll be comfortable for the years to come. Buy a satin sheet on your own, but wish for a sturdy bed sheet on your wedding registry. A good quality sheet provides relaxing comfort and can endure some wear and numerous washing without tearing and fading. Items such as vacuum cleaners and bathroom accessories don’t exactly get you excited when filling your registry, but they come in extremely useful than a double boiler you’re wishing for. If living with pets, and you often find your rugs and carpets laden with fur, air purifiers and a high-powered vacuum will go a long way in saving you, your future children and guests from allergic reactions and coughing spells. You can’t stock your kitchen with plastic glasses forever. Part of growing up is investing on quality glasses that can actually break. It doesn’t have to be the expensive kind; just a basic set of dishwasher-safe glassware would be enough. Surely, your guests won’t mind this gift request, since there are so many options available at different price ranges. Cutlery can be expensive, and if you are someone who loves to cook, quality matters. If otherwise, a general purpose knife set, with or without a block to store them in, is enough to suit most of your kitchen needs. 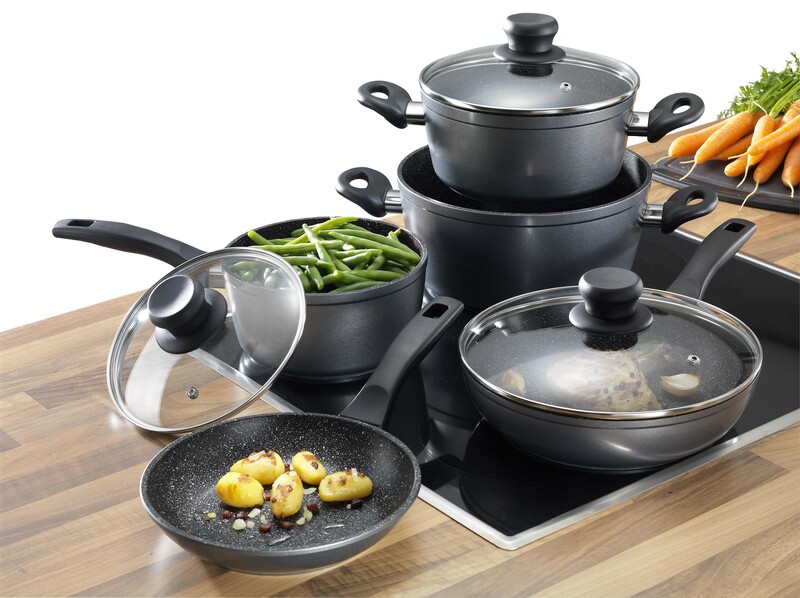 Cookware is an item that’s specific to the liking of the cook. You may like lightweight and non-stick cooking pieces that make food preparation quick and easy, or prefer the heavy-duty pieces that are built to last. Neither of them is wrong. You may be lucky enough to have enough room in your kitchen and a list of family and friends who are willing to support you in acquiring both. Your wedding registry is the wish list of items you would want to receive on your big day. Take advantage of this opportunity by enlisting the right items, so when you open that fancy coffee maker and say ‘I love it,’ you know you actually mean it.